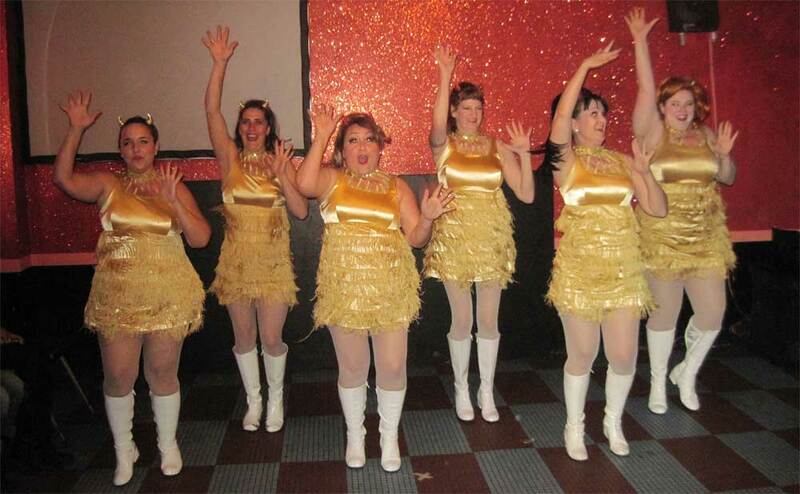 The Devil-Ettes are a fabulously frugging dance troupe of foxy female fun! Watch them shake and shimmy with synchronized moves to boss sixties grooves: sort of like a high school drill team gone Go-Go! Naturally, the girls hail from San Francisco—America’s home of high-art-meets-high-camp! The Boogaloo Bag writers have witnessed the glory of The Devil-Ettes several times as the group appears regularly at Tiki Oasis. Boss Jock Rex Doane, of radio station WFMU. The gals invaded New York City for four days in September, starting with their Dance Party Au Go-Go—a meet and greet and watusi event at the Beauty Bar in Manhattan on Thursday the 25th. 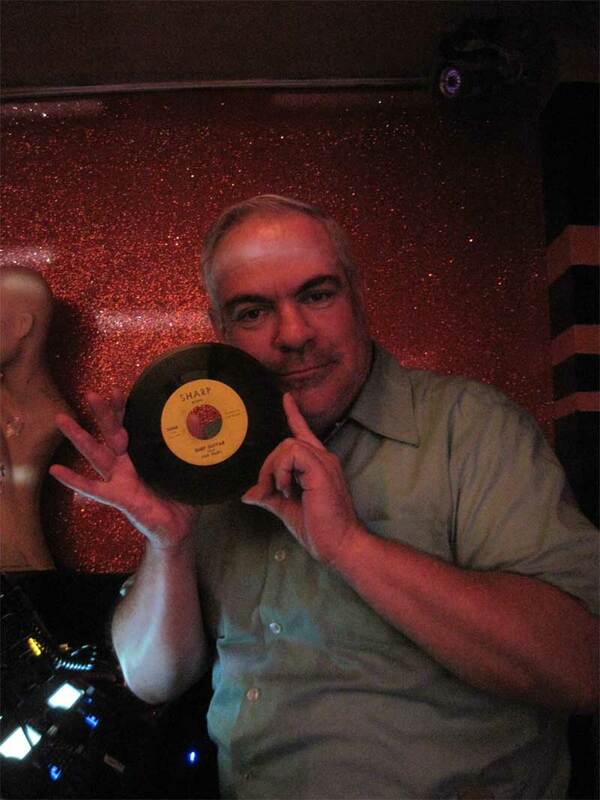 A couple of boss DJs were required, so The Devil-Ettes enlisted the bossest: Rex Doane, whose Saturday afternoon radio show—Fool’s Paradise on WFMU—is the greatest two hours of sonic mayhem imaginable. Rex played a number of hot frantic tracks—the kind that made him famous. Also on hand was Phast Phreddie the Boogaloo Omnibus, who supplied a solid Sixties Go-Go beat. At various appropriate times, The Devil-Ettes performed some of their spectacular routines. Can you spell S-W-I-M? On the Friday, The Devil-Ettes put on an impromptu show at a Brooklyn bar, and then danced the night away at The Magic of Juju—a funk fest hosted by Phast Phreddie the Boogaloo Omnibus at the Commodore (more on that in our next post!). 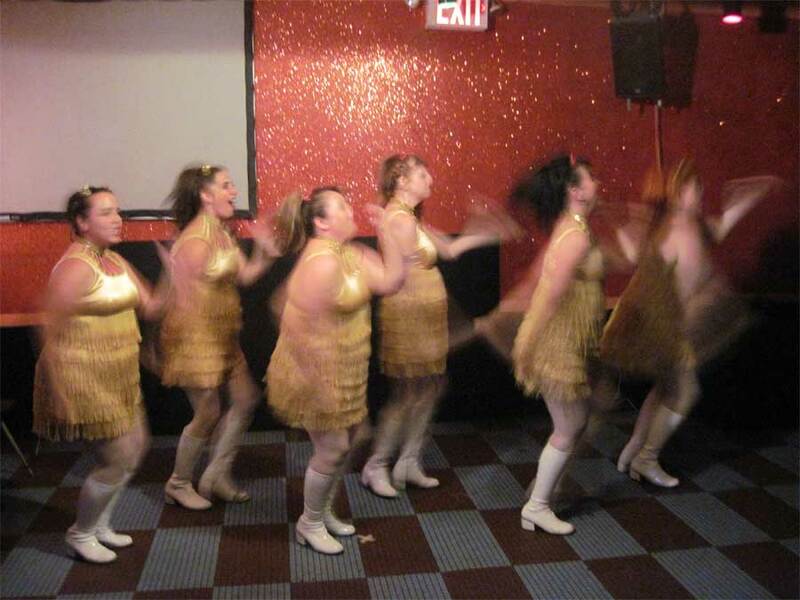 On the Saturday the gals took part in the New York Burlesque Festival. Then on Sunday, they swung at the Church of Titillation. These gals don’t stop! If they come to your town, make sure you make the scene. 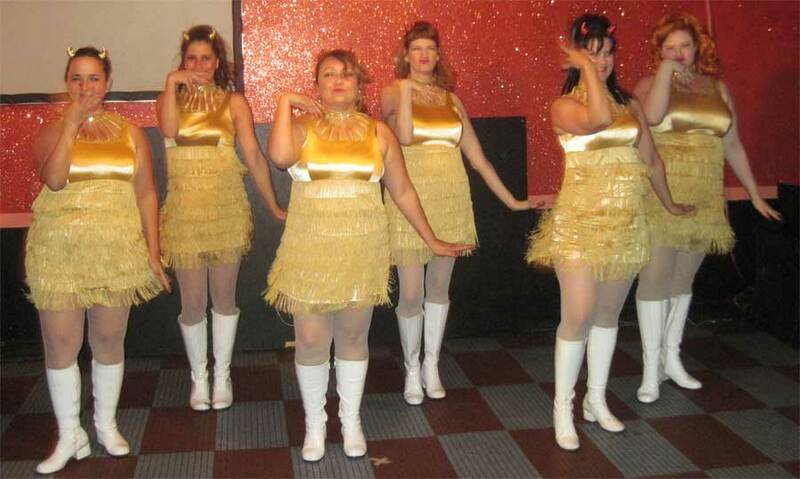 Below are more photos of The Devil-Ettes. Click on them and they will Big-O-Fi!